Notice how the towers are of two different styles of construction? 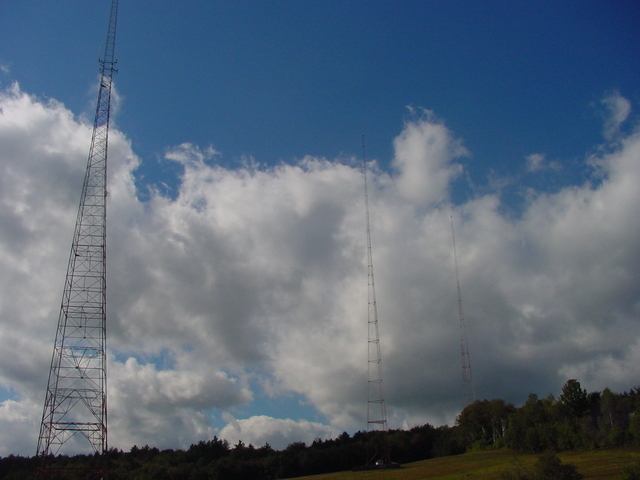 We surmise that towers were added at some point to allow WDEV to increase its day power to 5 kW. It's still limited to 1 kW at night, with a different directional pattern. Copyright 2002, Garrett A. Wollman. All rights reserved. Photograph taken 2002-09-28.